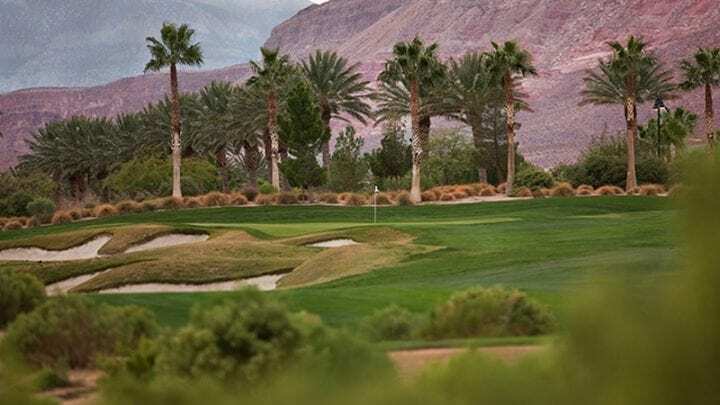 Nearly six centuries after the Italian Renaissance, Lee Schmidt and Brian Curley created a rebirth for golf in the Las Vegas valley. 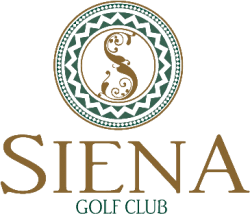 Siena Golf Club is a revival of the values and artistic styles fashioned by golf's greatest courses; even more Siena is a celebration of the Italian Culture. 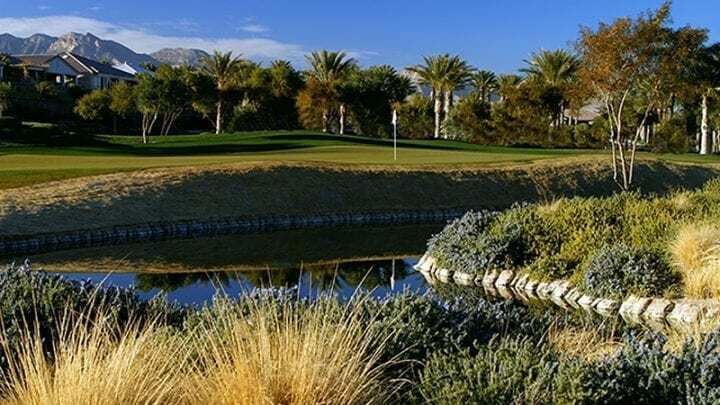 In the Tuscany-themed Siena Golf Club at Summerlin, a focal point of the guard-gated village will be Lake Siena, a quarter-mile-long lake with cascading waterfalls on the first hole of the golf course. 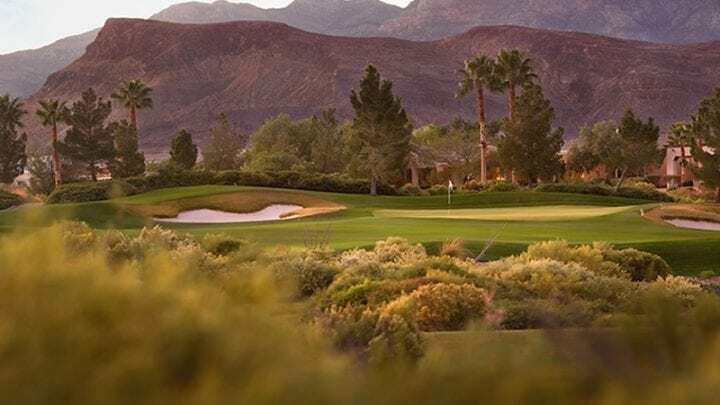 The 13,500 square foot Siena club house features a full-service golf shop, locker rooms, and The Siena Bistro with a patio dining room overlooking Lake Siena. The elevated characteristic of the terrain provides panoramic views of the mountains and city lights. 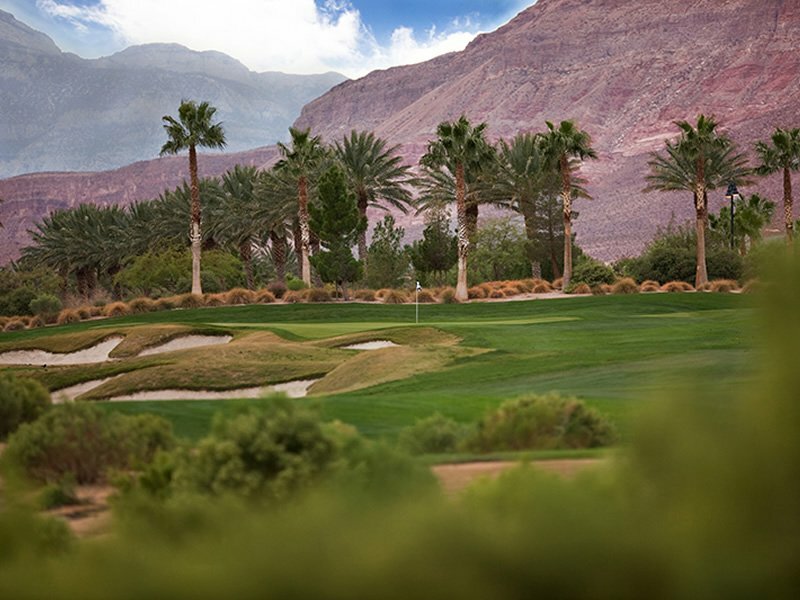 With perfectly placed bunkers and water features, hitting the ball long is no longer a must. Working the ball and hitting it straight become more important than ever to post a low score. With a demanding first hole, warming up is a good idea. 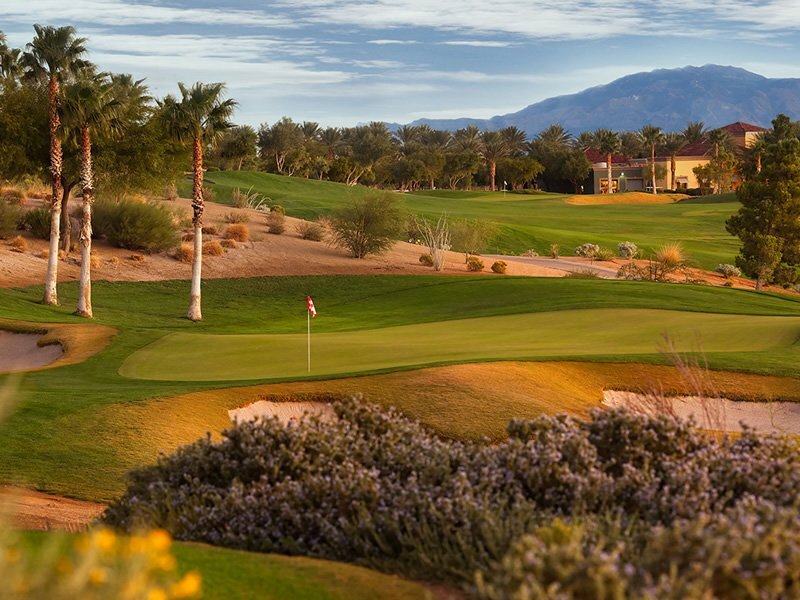 With water to the left and bunkers to the right, a straight shot is all you need. Just poke one out there and you will be fine. 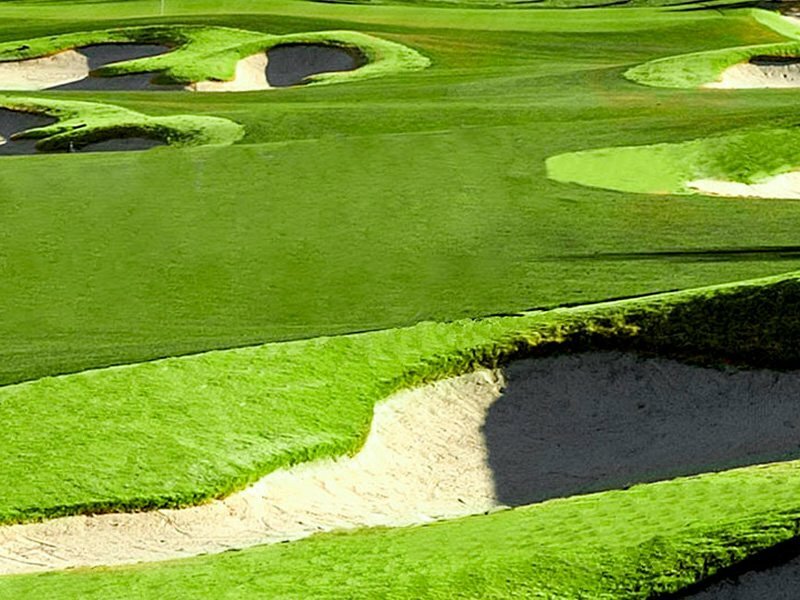 Keep it as close as you can to the bunkers on the right side and you will be rewarded with a wide open shot to the green. 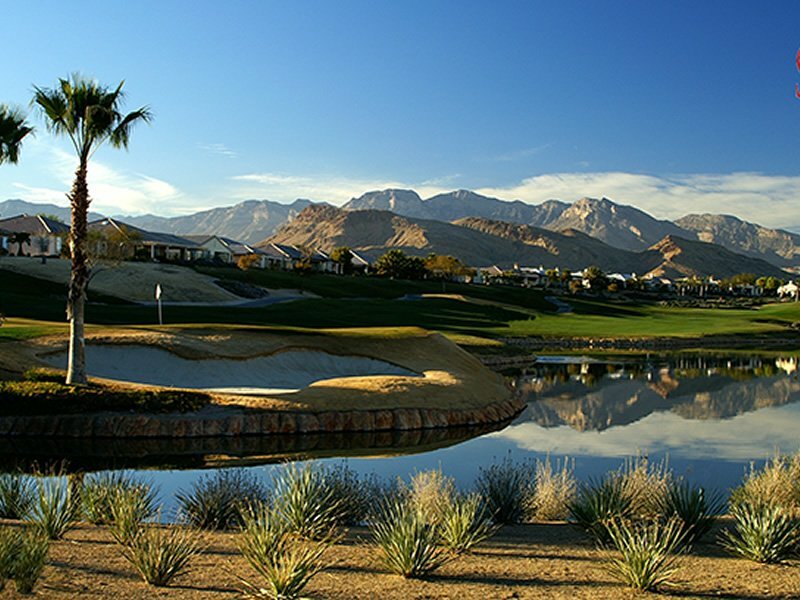 The number one handicap hole is number eight, a 563 yard par-5. 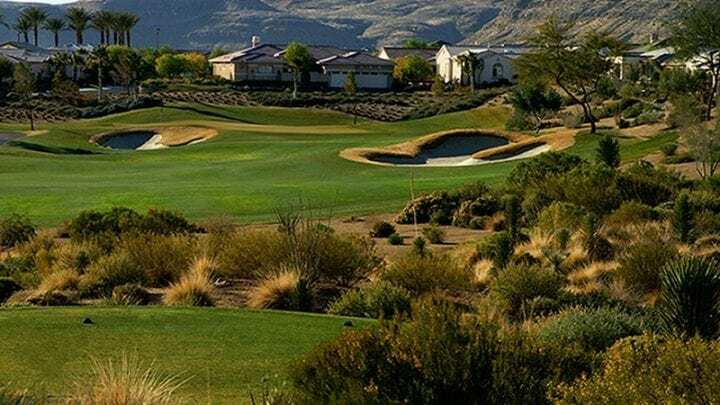 Accuracy off the tee is a must to score well on this hole. 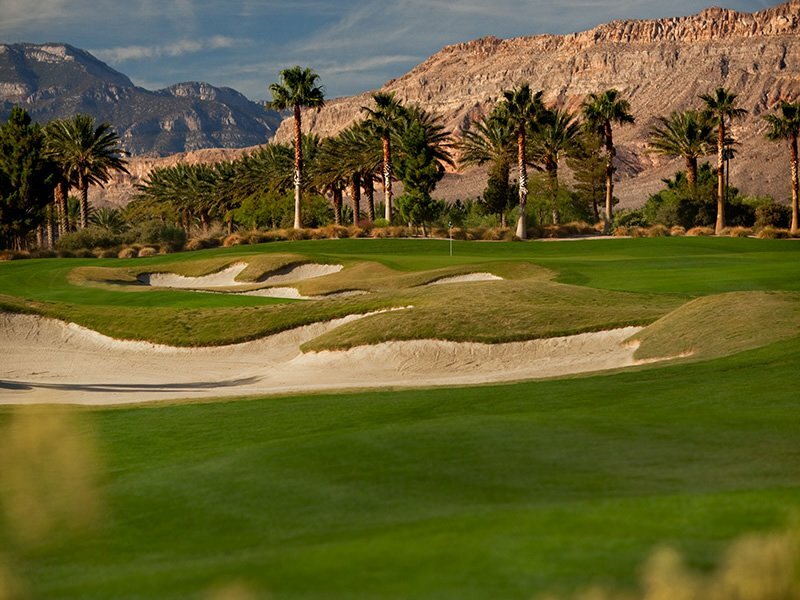 This long par-5 has bunkers on both sides of the fairway. 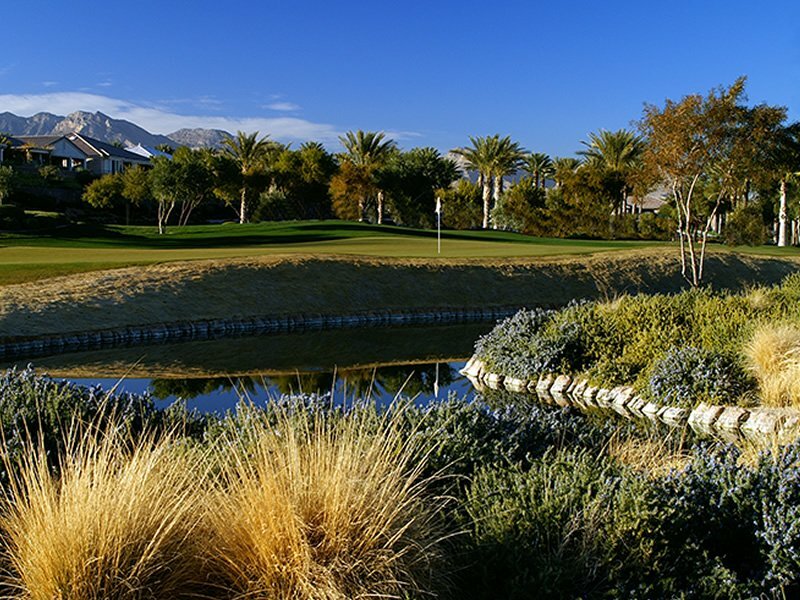 Your second shot should land between the bunkers near the green. Take extra club to this uphill green and take special notice of the hole location on this large green. 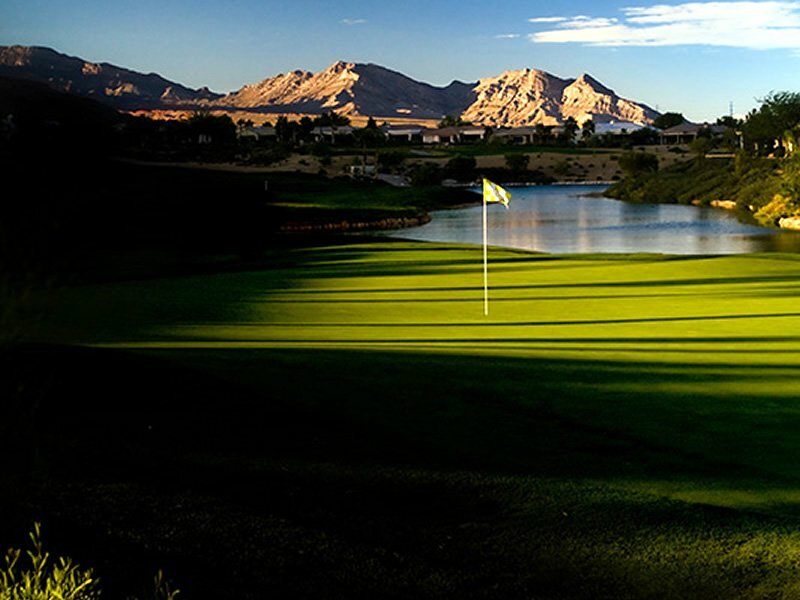 Siena Golf Club is located 15-20 minutes form the Las Vegas Strip. 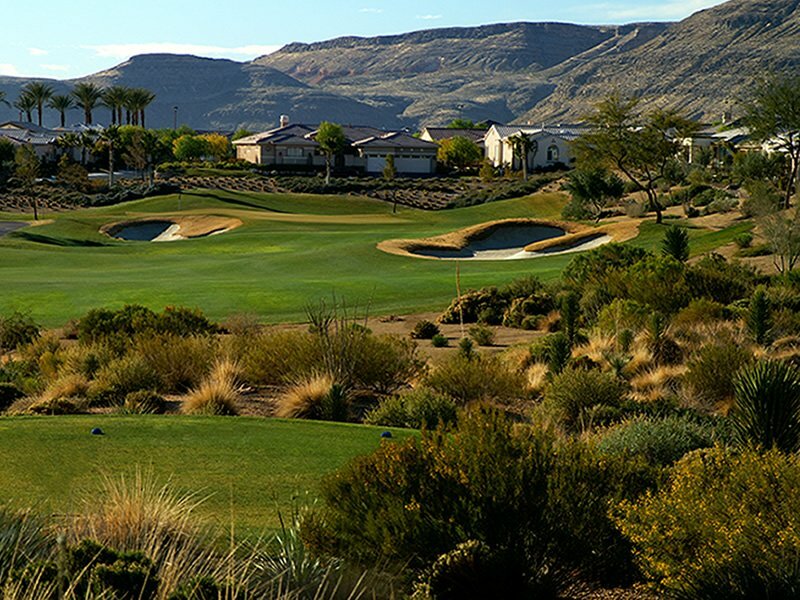 With no need to over-seed, like all of the courses in the Las Vegas, Siena is open year around. 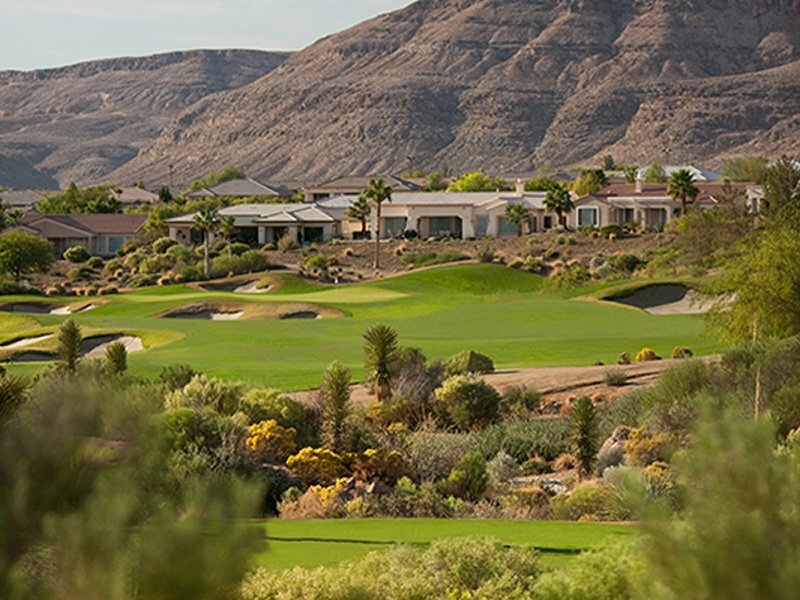 With its plush Rye fairways and Bentgrass greens, the course plays like a dream. The Siena Bistro, a 2,500 sq. 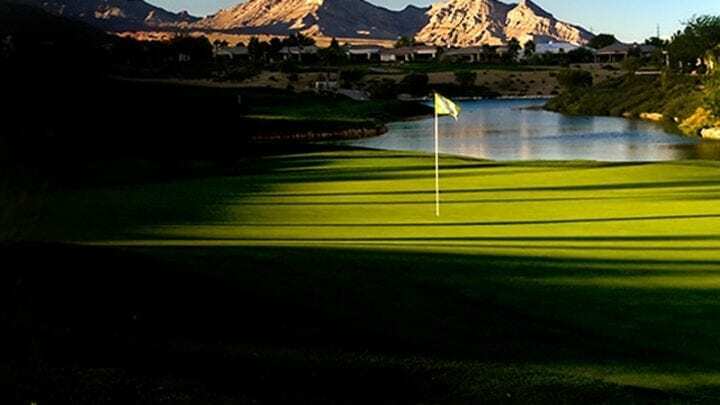 ft. Italian-themed restaurant and bar features a private patio with fireplace and a casual patio that provides beautiful panoramic views of the golf course, Lake Siena and the Las Vegas Strip. 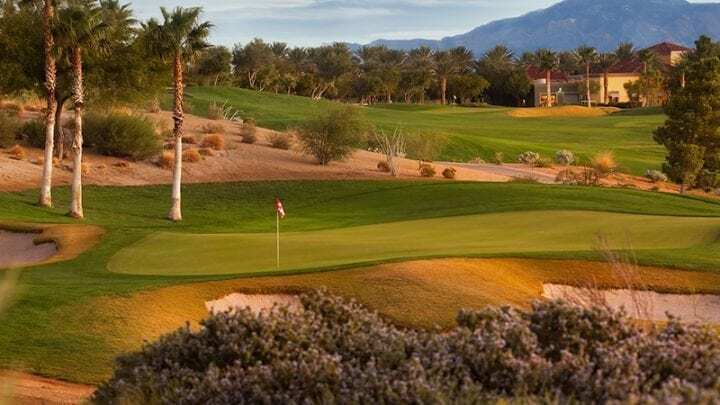 Coming complete with a large multi-tiered practice facility, chipping and putting greens, men’s/women’s locker rooms, and a course playable for everyone you couldn’t ask for anything more. 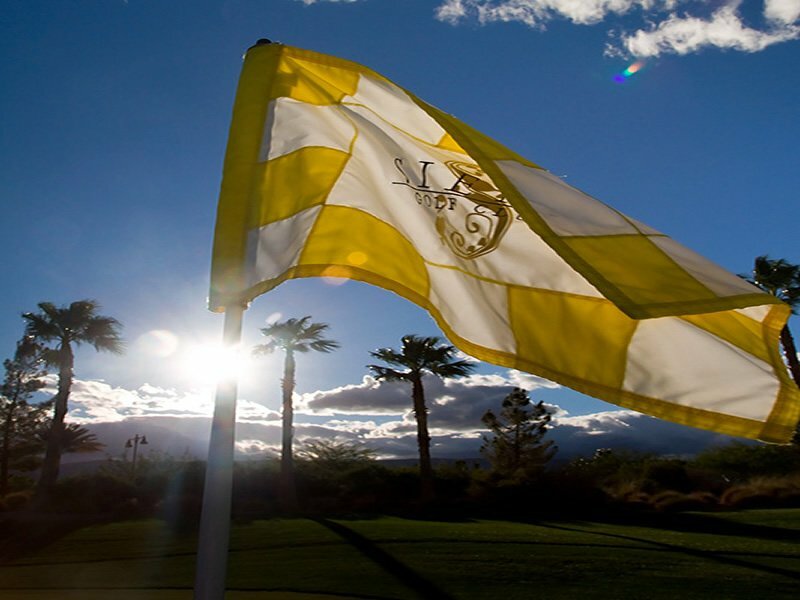 Bring your next group or friendly game out to Siena Golf Club. 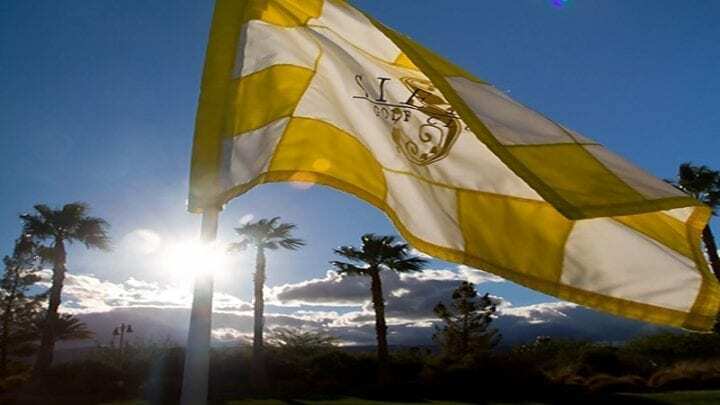 Las Vegas, NV (2009 Press Release) October 16, 2009 - Representatives from Siena Golf Club announced today that Siena Golf Club was selected as the 2009 Nevada Course of the Year by the Nevada Golf Course Owners Association. "We are very excited to be the recipient of this award," said Tony Lenzie, Director of Golf and GM of Siena Golf Club. "It truly shows the dedication and hard work of every employee of our facility and for that, I am very proud." 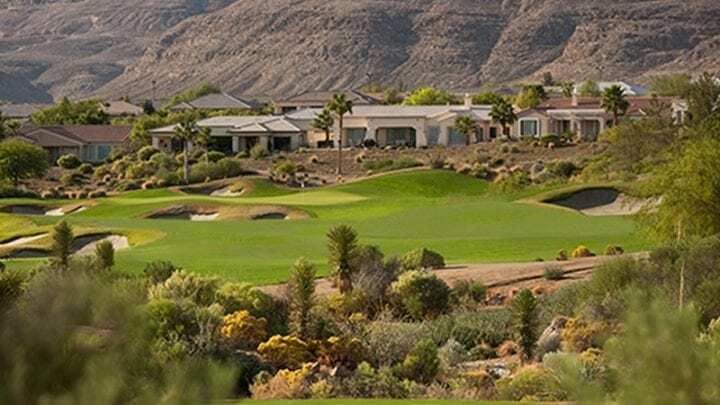 Siena Golf Club was selected based on the above criteria and specifically for their efforts in turf reduction resulting in less water use in the Las Vegas Valley as well as their support for local boys and girls high school golf. 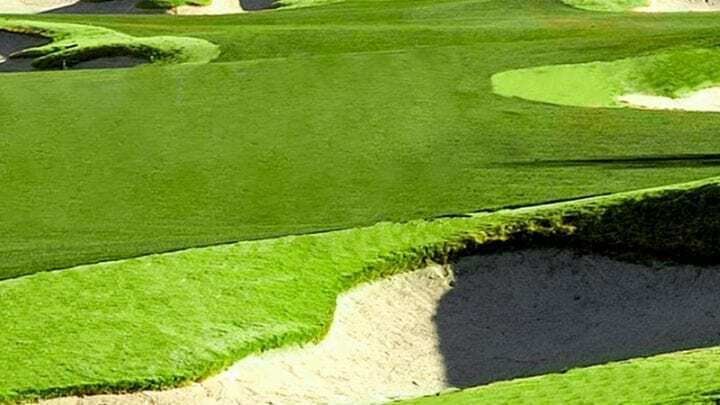 Established in 1979 and headquartered in Charleston, S.C., the NGCOA is the leading authority on the business of golf course ownership and management. 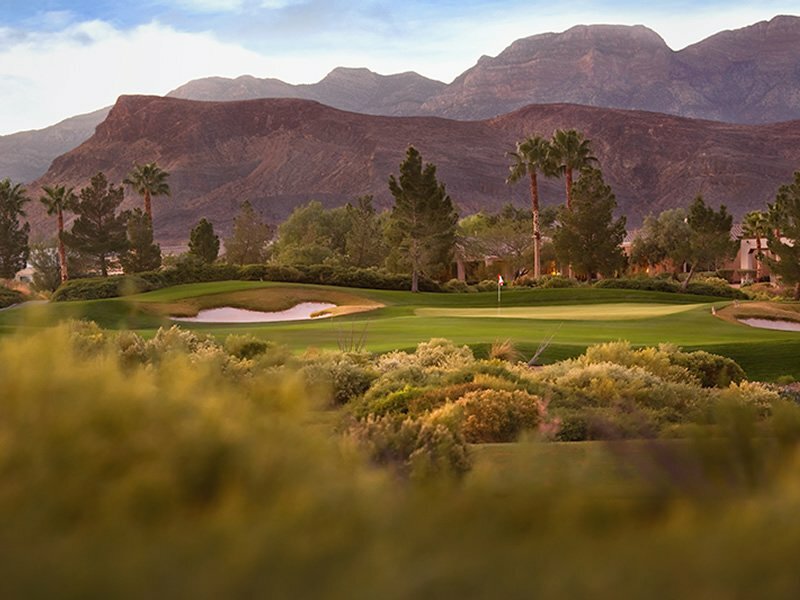 The Association represents the industry's key decision makers with ultimate responsibility for golf courses throughout the world. 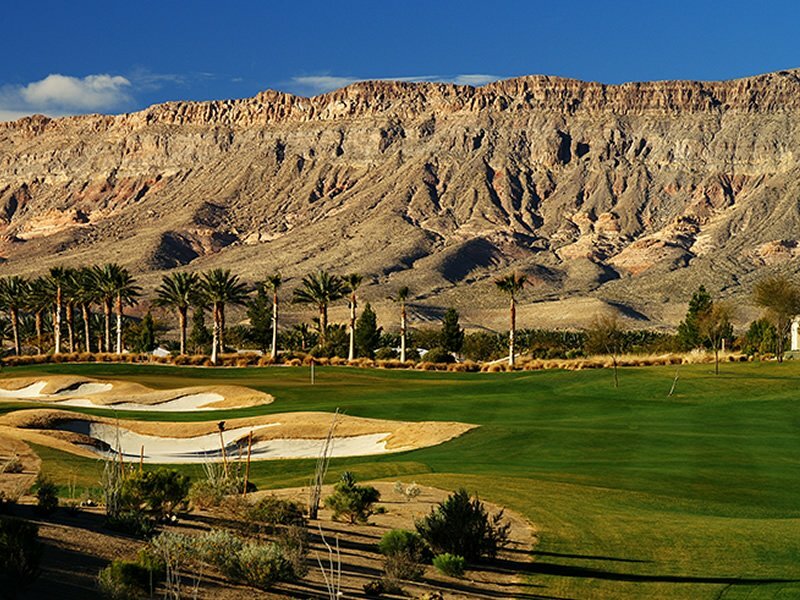 The not-for-profit organization is the only trade association dedicated exclusively to golf course owners and operators. I have played Siena in the past and always thought it was nice, but was never super happy with it for some reason. Well I played it again last week and had a great time. We teed off at 5:47am so it was really early and fresh outside. The birds were chirping and we could smell the wet grass; you know those kinds of mornings. We didn’t go out too late the night before so we were able to get in a couple hours of sleep. We got there and check in was smooth. The guy in the shop was expecting us and with the VIP check in, there were no problems. 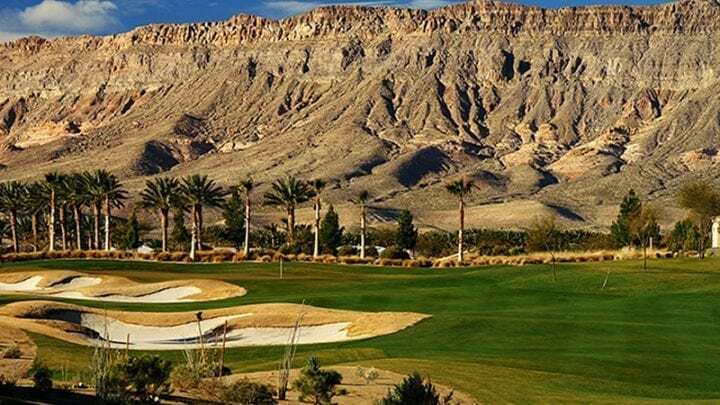 The range had some nice grass and was in good shape, plus the desert is right there surrounding it so, it had a nice look to it. You could tell that they were really watering the course. The fairways and greens were emerald green in 100 degree temps. It looks like they had put some money into it and were really making sure the conditions were as good as they could be. You would never think views when you play a course like Siena, but the views of the surrounding mountains are unbelievable; I found myself gazing into them. The course itself does not have a lot of grass like I remember. 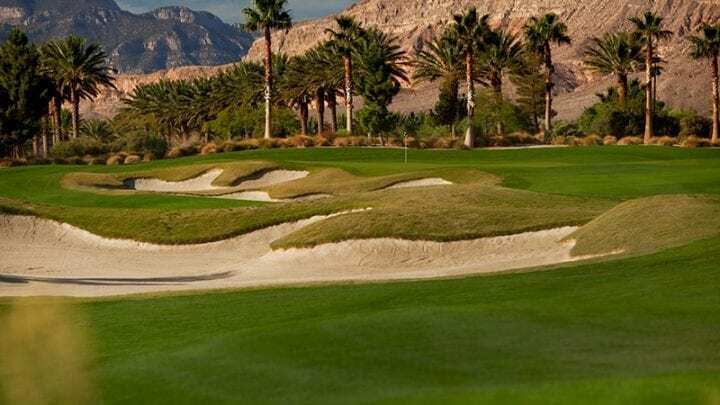 A VIP representative was telling me that they have done some major turf reduction over the last 5 years and have pulled out a lot of unnecessary grass and put in natural desert landscaping. There was a lot more desert on the course than last time and it made it much more challenging and scenic. We had a great time! The greens were almost sponge like. They rolled a little slow for my taste, but they were so soft that my divot tool would just sink right in. Did I mention that there are bunkers everywhere? I feltl like I was in most of them, but the sand is nice and coarse so the ball came out pretty easily. 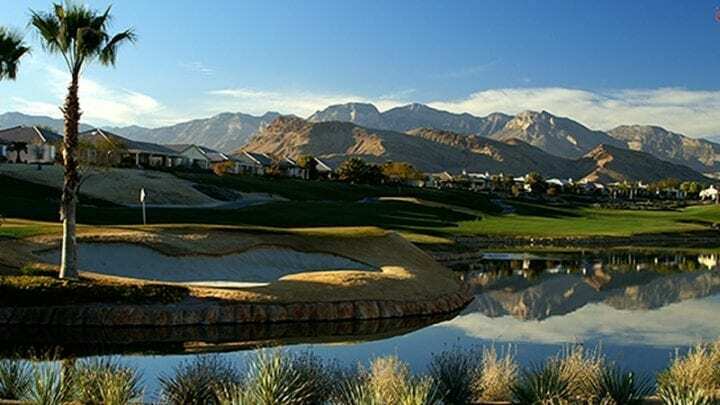 For a nice relaxing day without sacrificing service and quality, Siena is a great spot about 20 minutes from the strip.